One of triplet does born late in April. 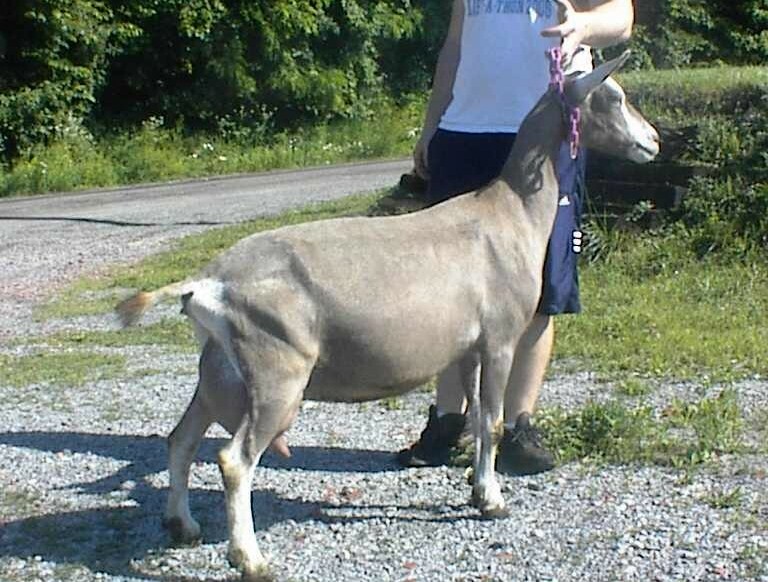 One of her littlemate sister's was BJDIS at NAILE now owned by Shadylawn. The other littermate is own by the Collins family in Athens Ohio. She has already won a Jr Grand. Good luck to both. 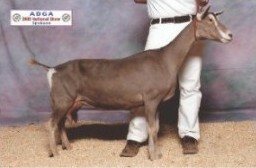 This doe is unshown and will remain dry in 09. She was excellent in rear legs on her appraisal. Very sweet doe with tons of personality. Very nice attached mammery with tons on milk. Jane combines two of my favorite Waiilatpu does. She placed 1st place with 1st udder at the 98 Nationals. Jayne is another Toggenburg beauty from our Janice line! 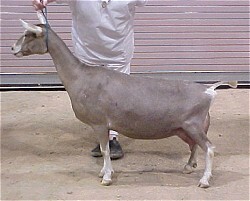 She LA Ex 91 EEVE in 2006 at 5 years of age. She LA Ex 90 as a 2 year old! She was shown at the 2005 nationals and placed 7th. She is more of the long, tall and sharp type. For more information on this lovely Waiilatpu doe check out.